This week’s author interview is with Jim Scott Orrick. He is the author of Mere Calvinism (releasing tomorrow!). Being from 1972, young Jimmy would probably say that being a college professor was groovy, but he would be thrown off his groove when I answered his question about what I had to go through to become a college professor: “I went to college and seminary for twelve years.” Twelve-year-old Jimmy would sit down and cry about that. He read voraciously, but he was not academically inclined. Writing books was an unlikely prospect. I began preaching at age seventeen when I was just out of high school, and preaching has been my life passion since then. I came from a Baptist family that valued education, but we Baptists do not insist that our preachers have formal education. When I began preaching, among my branch of the Baptists a college education was desirable but optional, and seminary training was nearly unheard of. I went to college mostly to continue participating in basketball and track and field. In college, I was a pretty good student, but I carefully avoided classes in which the professor required a research paper. Some of my college profs would be shocked to learn that I have written books. And that strange thumping you sometimes hear in the middle of the night? That is my Jr. High English teacher turning over in her grave. I did, however, love to write letters, and as incredible as it seems in 2019, I often spent hours every week writing letters. I wanted to write interesting letters, and I think that is where I honed my writing skills. I still write letters with fountain pens. For that matter, I nearly always write the first draft of serious composition with pen and paper. My attitude towards extended writing projects never really changed until I was pursuing my PhD in English Literature at Ohio University. I wrote my dissertation on George Herbert’s Debt to the Bible, and I loved writing it. I typed the whole thing out – hundreds of pages – on an old 286 computer, and I never saved it anywhere except on the hard drive. I never knew how! But God is merciful. When I was finished with the dissertation, I hit the print button, and my tractor-feed printer started chugging away. Several hours later, the whole dissertation lay complete on the floor. How did I come to write Mere Calvinism? I grew up hearing my dad’s Calvinistic preaching, so my entire life I have had friendly exposure to the doctrines of God’s sovereign grace. When I began preaching, I preached free grace. When I began teaching, I taught free grace. Although much of my teaching and preaching ministry has been carried on among Christians who would identify as Calvinists, I have observed that their knowledge of Calvinism is often surprisingly limited. 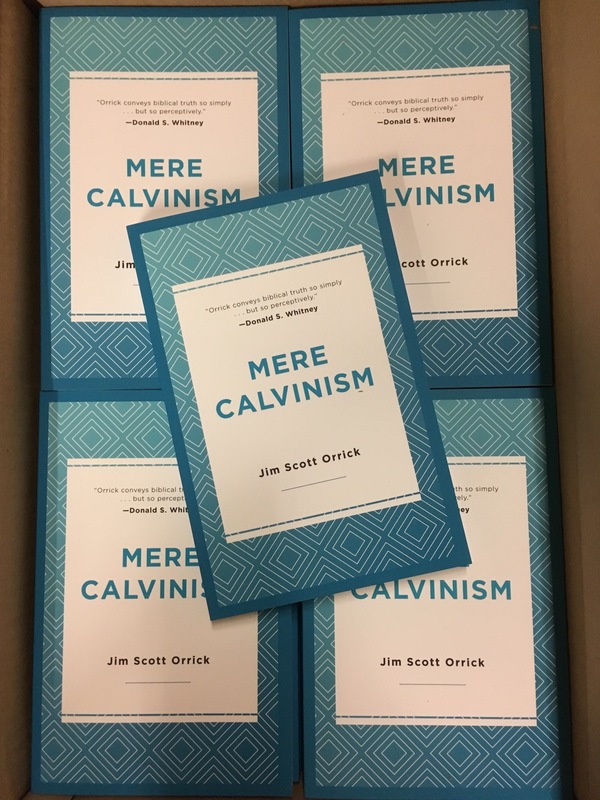 Through the years, when I have given the lectures and sermons that formed the basis of Mere Calvinism, the reaction of these self-identifying Calvinists has not been, “Oh, brother, here we go again. We have to sit through another sermon on Calvinism.” On the contrary, many of them have responded as if they were hearing these truths clearly expounded for the first time. William Jay makes me want to read the Bible. John Brown of Edinburgh is my favorite commentator. George Herbert is my favorite poet. My favorite poem is “To a Waterfowl” by William Cullen Bryant. Epictetus is my favorite philosopher. Boethius’ Consolation of Philosophyis my favorite book of philosophy. Shakespeare’s King Learis my favorite play. Pilgrim’s Progressis my favorite book. C. H. Spurgeon is my lifelong hero. For several years I read one of Spurgeon’s sermons almost every day. Martyn Lloyd-Jones has been a huge blessing. Alexander Whyte pushed me into a ministry in which literature figures prominently. As amazing as C. S. Lewis is as a Christian apologist and writer of fiction, he may be even better as a literary critic. Classical music moves me beyond my ability to say. I love hymns. Phillips Brooks’ Lectures on Preaching. Other than the preaching book that I co-authored with Brian Payne and Ryan Fullerton, I do not know that I have ever read a book on preaching that compares with Brooks. (I still have about seventy-five pages to read). Is there anything unique about you? I have never had a cell phone. As a young man, I hitch-hiked all over America. I was seeking adventure, but I was also on a mission. I shared the gospel with almost everyone who gave me a ride. I make all-wood, homemade bows and regularly deer hunt with my bows. I tan deer hides using an ancient, all-natural method called brain-tan, and I make clothing out of the resulting buckskin. I have been a beekeeper for close to thirty years. I have set many of the Psalms to music, and I set to music the Baptist version of the Westminster Shorter Catechism.